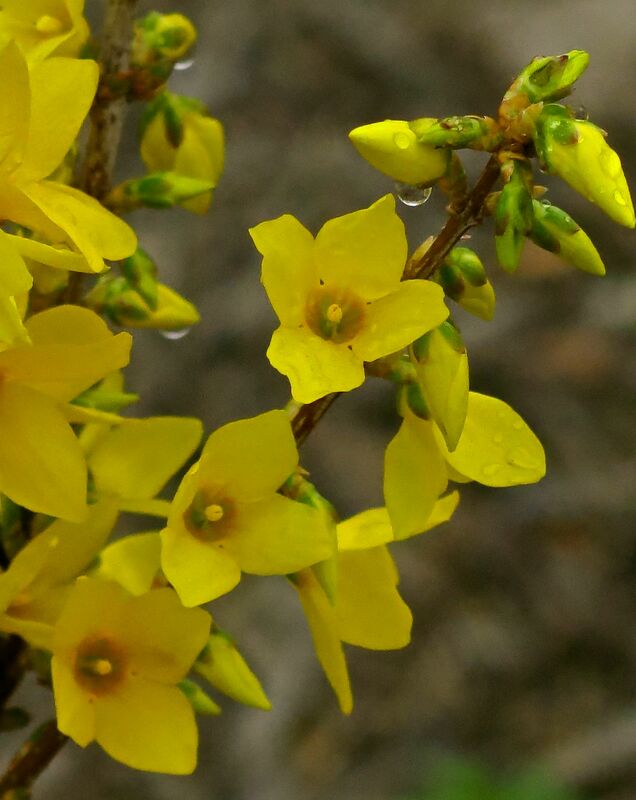 Forsythia is always one of the early risers each Spring. It has been favorite of mine since Mom first planted two in the backyard, at each end of the clothesline, oh boy…that was back when my age was barely double digits…. 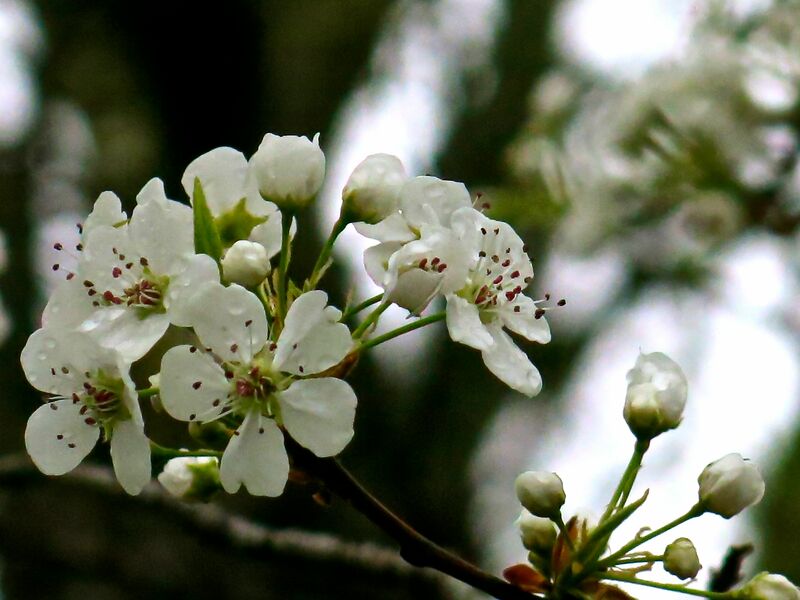 Callery Pear already in full bloom – and the next two nights we’re suppose to get a light freeze…good thing for having a camera-at-the-ready! I love forsythia. I had plans for a complete landscaping overhaul of our home this spring in an effort to beat back the nastiness left from the past five plus years of drought. Those lovely yellow ladies were included as a backdrop border.